Hundreds of people protested on the streets of Haiti’s capital Wednesday, demanding an investigation into the alleged diversion of $3.8 billion (US dollars) of funds from a Venezuelan oil agreement with Haiti and other Caribbean countries. Police officers fired live ammunition at unarmed protesters. 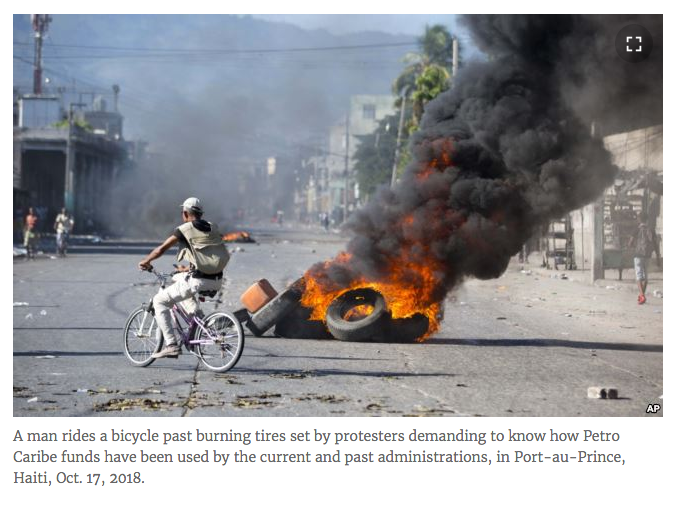 Protesters burned tires at makeshift barricades throughout Port-au-Prince as many called for President Jovenel Moise to step down. 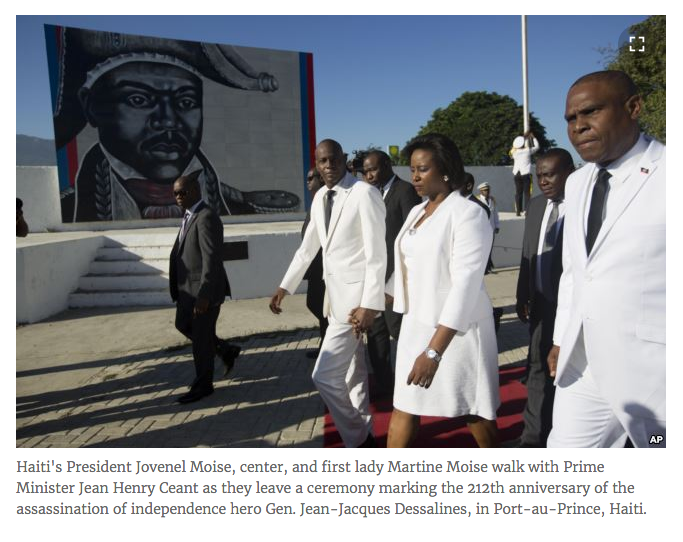 Moise and his wife Martine attended a ceremony to commemorate the death of Haiti’s founding father Jean Jacques Dessalines and the protests could be heard throughout the event. One police officer was injured when he was hit by a rock thrown by a protester after the wreath laying ceremony. Petrocaribe was launched in June, 2005 as a Caribbean oil alliance with Venezuela giving members preferential treatment for energy purchase, at a discounted price with low-interest deferred terms and an option to pay in kind instead of currency. 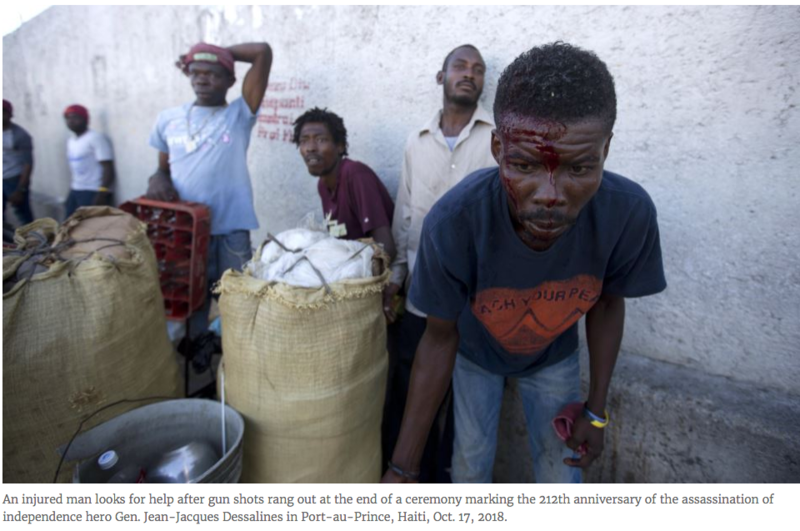 Several audits have shown that much of Haiti’s Petrocaribe revenue disappeared, having been disbursed for government construction contracts on projects that were never finished. The scandal forced the resignation of Prime Minister, Jack Guy Lafontant.